21 October 2015 is the date that Marty McFly and Doc Brown travel in Back To The Future II. To celebrate the event, Presenter and Technology Evangelist Jason Bradbury has completed a full replica build of the DeLorean time machine and we've included a video posted of him riding a hover board through Piccadilly Circus! 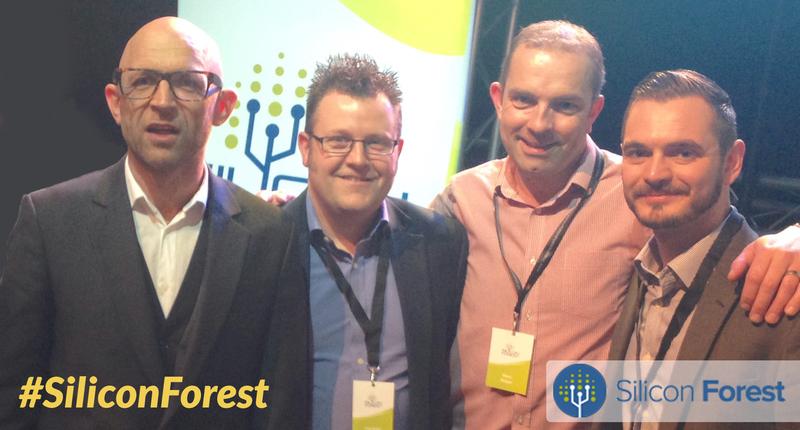 Our Business Development Director, Simon Gabbitas met Jason Bradbury at the Silicon Forest launch event earlier this month in Newark. Silicon Forest is an initiative aimed at establishing Newark & Sherwood as a national centre of excellence for innovation and technology. Jason spoke about how technology has advanced and looked at some of the products and technologies that will change the way we work and play in the coming years, although a full working hover board may be a few years away yet!